Hello folks! My name is Adriana, I´m 33 years old, mother of a girl. 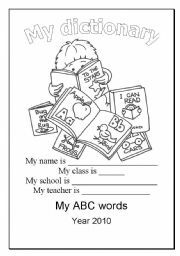 I live in Brazil, Rio Grande do Sul, where I teach English. 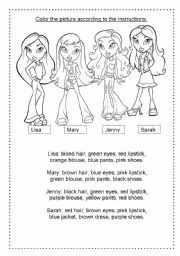 Students have to color the picture according to the instructions. I hope you´ll like it. In the classroom. 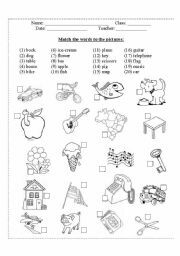 Students have to find in the picture and complete the table classroom objects and color them. 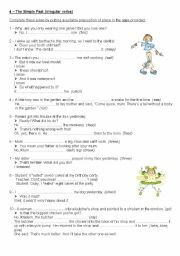 The Simple Past - irregular verbs - Jokes A worksheet where students can practice the Simple Past - irregular verbs - with jokes. Hope you like it. 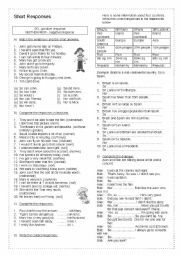 The Present Continuous - Jokes A worksheet where students can practice the Present Continuous with jokes. Hope you like it. Completely editable. Hope you´ll like it. 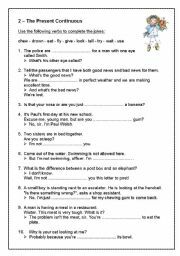 The Simple Past - regular verbs - Jokes A worksheet where students can practice the Simple Past - regular verbs - with jokes. Hope you like it. 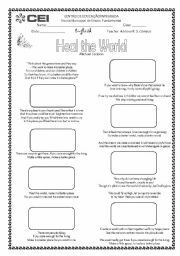 Activity for the song Heal the World. Hope you´ll like it. PPS about friends. Very nice to your students.